Bike Race is a side scrolling physics game, developed by Top Free Games and is free for download on both Android and iOS platforms, that is intended to feed your inner acrobat’s desire to perform. 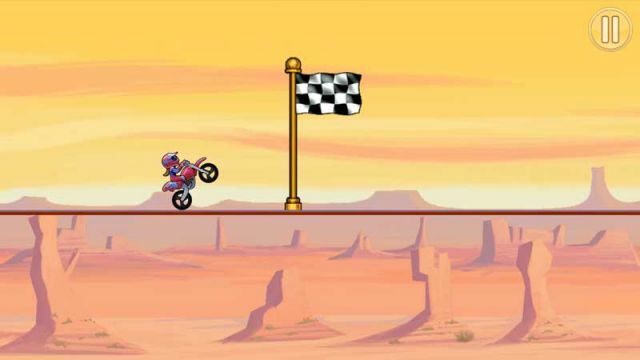 Although the actual goal of the game is to reach a specified finish line in one piece, you just can’t help but maneuver your bike to perform those insane stunts and rollovers during each and every mid-air launch. Check the game's "Tips and Hints" section at the "Guide Contents".